India will not fire the first bullet across the border, Home Minister Rajnath Singh said on Friday during his meeting with a delegation of Pakistan Rangers led by Maj. Gen. Umar Farooq Burki. "The home minister told them (Pakistan Rangers) India will not fire the first bullet," official sources said. The Pakistan Rangers delegation is in New Delhi for director general-level talks with its Indian counterparts, the Border Security Force (BSF). 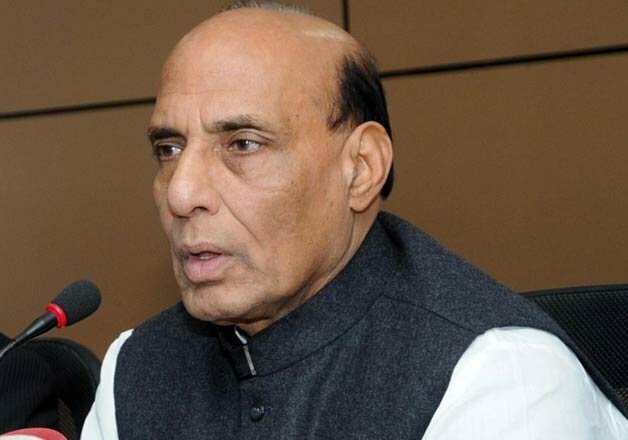 The Home Minister also stressed on the need for unity between India and Pakistan to control terrorism and urged the Rangers to ensure that terrorists did not infiltrate into India from their territory. The delegation of Pakistan Rangers proceeded to the venue for the BSF-Rangers talks after the meeting with Rajnath Singh.